Originally from Upstate New York, Lori was raised in a family of horsemen. Her grandfather was her biggest fan and teacher growing up and by the time Lori was three years old, she was already in the show ring. He encouraged her to enjoy and follow her dream and take advantage of the gift that was given to her. Sixteen years ago, Lori found a special breed of horse and fell in love. Lori began working for a Paso Fino farm in New York and when they decided to relocate to Ocala, she did not hesitate to join them. Her experience includes training, breeding, foaling, showing, selling and managing. In addition, Lori also managed a thoroughbred farm in Ocala for three years. 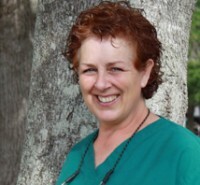 In 2007, Lori began working with EMCO as an equine nurse and currently manages the surgery barn. To quote Lori “it is in her blood and in her heart" because she believes she was given a gift in life. She takes every opportunity to learn everything she can, to help every horse entrusted to her care, to live the best life possible. With that dedication, Lori finds her work at EMCO rewarding and is thankful to have the opportunity to expand her knowledge.